The growing acceptance of virtual cards, sometimes referred to as v-cards, by small to mid-sized businesses (SMBs) is increasing exponentially as suppliers embrace the improved security and convenience of this digital payment method over paper checks. But for most, the manual work of processing and reconciling the payments remains a challenge. 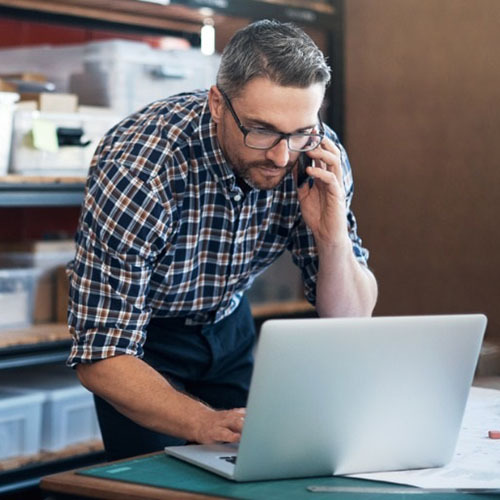 While there are automated reconciliation and straight-through processing (STP) solutions for large businesses, small businesses, in particular, continue to be underserved due to their smaller and less frequent invoices. Things appear to be changing, however, as FinTechs realize the commercial value of serving this massive market of 5 million potential customers. Straight-through processing is a method used within the payment ecosystem to speed up the processing time of the two main processing components of remittance and settlement. Its objective is to streamline payments, so that once a transaction is initiated, all activities associated with the payment processing are automated from start-to-finish without manual intervention. STP allows buyers and suppliers to electronically share information for quicker, more secure and effective transaction processing. When businesses adopt STP solutions, errors are reduced as accounts receivable employees are freed up from manually entering information and verifying whether a transaction has fully processed. According to the Association for Financial Professionals, 47% of organizations currently use STP to manage some of their payments and 44% use STP to manage some receivables. These are typically large businesses for whom sophisticated end-to-end payment cycle management solutions that automate manual tasks have been developed by third parties. In some cases the businesses themselves have the resources and scale to develop their own solutions, such as proprietary payment portals. Other players in the payment ecosystem can profit from improved adoption of STP solutions by SMBs. A/P solutions providers, processors and corporate payables departments at mid- to large banks can often have as much as 70 percent of payments that cannot be delivered via virtual card due to the supplier’s inability to accommodate the manual reconciliation of other relevant information, leaving them to rely on the same old costly and archaic delivery methods. By improving STP processes for small business, these players will greatly expand their reach of serviceable suppliers, resulting in higher revenues and better service for the clients they serve. To realize the full potential of STP using v-cards, the payment industry must continue to broaden the reach of its networks so that more SMBs are capable of accepting v-card payments. Breaking down traditional v-card acceptance barriers—like delivering payments via the small supplier’s preferred delivery method, such as web, IVR, phone agent, email, and secure fax is key to increasing SMB acceptance rates. Assistance with posting the payment to their accounts payable systems. Existing FinTech solutions do not effectively serve the needs of SMBs, such as simplifying user interfaces, minimizing the authentication processes, and facilitating the downloading of remittance information to commercially available products like QuickBooks®, Xero® and others. In order to serve SMBs, FinTechs must be creative and flexible in their approach to developing new tools and systems for this market. FinTechs, such as Noventis collaborating to develop STP solutions for SMBs is a tide that lifts all boats. Not only will the suppliers benefit from the efficiency and cost savings of automation, but other players in the ecosystem who deliver payments will also benefit through an increase in electronically delivered payments, generating revenue and improved service for their clients.